I am always looking for a fun something to give to friends during the holidays. Halloween, being one of my favorite holidays, is no exception. Made from pieces at that can be found at the dollar store, this wickedly witchy candy jar is a perfect inexpensive gift to give to a neighbor, friend, or teacher. Of course, the jar would look cute in your own house too! 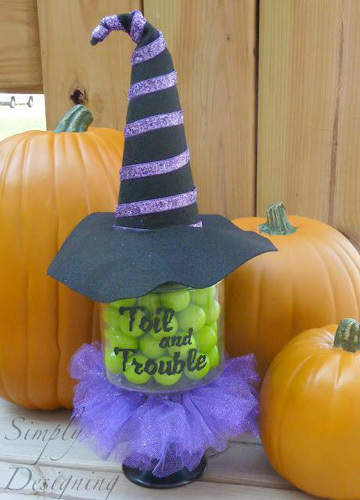 You can check out how to make this DIY witch candy jar over at She Knows.